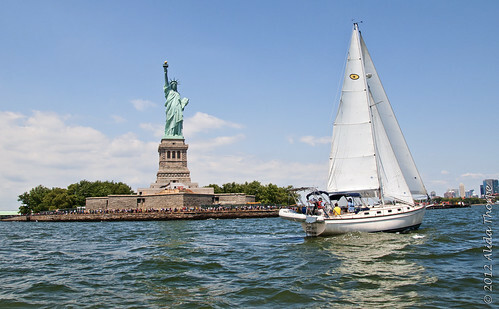 Liberty and the sailboat, a photo by Alida's Photos on Flickr. The boat traffic was chaotic. There were private boats like this sailboat and ferries and water taxis and tour boats. To make matters worse, Jet Skis were buzzing around with no apparent direction!